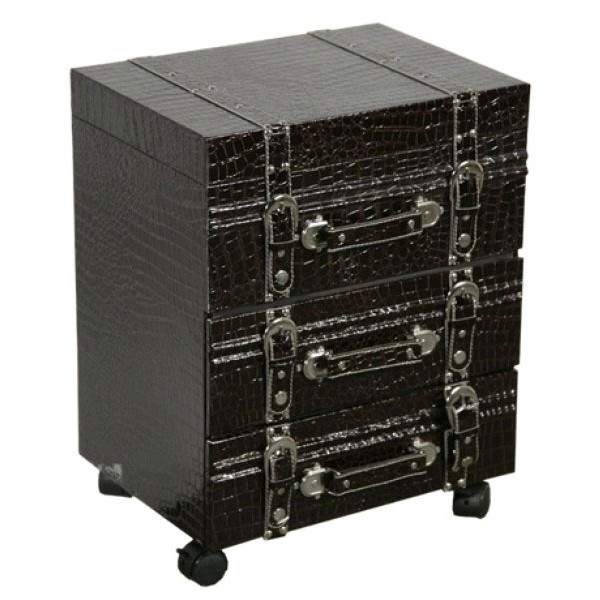 Moc Croc Deep Brown Bedside Table a modern interpretation of the travel luggage look, and inspired by the ‘Grand Tour’ with three drawers, with its strapping and buckle detailing, makes this very pleasing on the eye, delivered fully assembled. The wooden frame is covered in a hard wearing and practical glossy faux mock croc, and is set on castors. The size of each chest is w40 x d30 x h51cm.